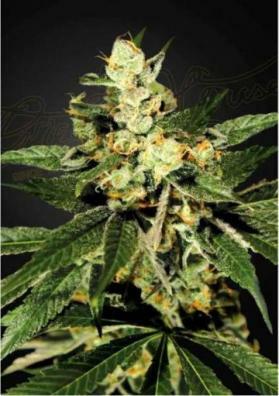 Arjan's Strawberry Haze is a feminized sativa Marijuana strain that comes from the genetics of Swiss Sativa and NL5 Haze Mist. Its effect is gentle on the body, yet powerful on the mind. This specimen won the first prize at the 2005 Very Important Smokers Panel. 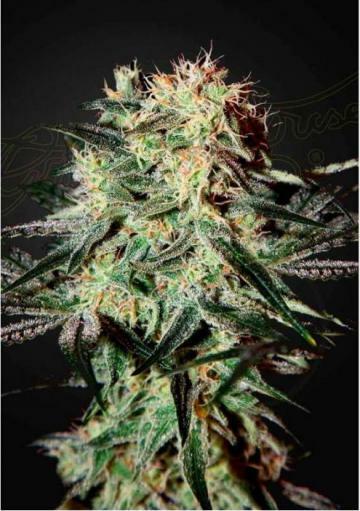 Arjan's Strawberry Haze is a feminized sativa Marijuana strain that comes from the genetics of Swiss Sativa and NL5 Haze Mist. Noted for its fruity taste with hints of strawberries, berries and lemons, quite complex but very pleasant. Its effect is gentle on the body, yet powerful on the mind. It is a very creative and social high, so be prepared to enjoy it because the experience goes for a long time. The plant of Arjan's Strawberry Haze is quite elongated developing long branches being perfect for SCRoG or LST. In a growing room and after 10 weeks of waiting you will get productions of up to 600 grams per square meter. In the outside, it thrives better to grow it in temperate climates like equatorial, subtropical or tropical climates, where it can yield up to 800 grams per plant, which is not bad. 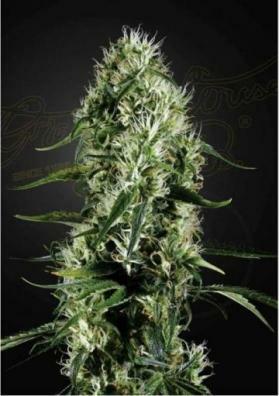 Arjan's Strawberry Haze won the first prize at the 2005 Very Important Smokers Panel.